While many gamers are aware of Nintendo's Wars series through its handheld iterations, such as 2001's Advance Wars on the Game Boy Advance. Western audiences never really got a chance to check out the strategy series' earlier entries which date back to the '80s. In fact, even as late as 1998, Super Famicom Wars was developed for the... err... Super Famicom, and was released via the console's Nintendo Power Cartridge system, which allowed owners to write and re-write game ROMs onto specially devised carts. Some budding Wars fans, keen to visit lost battles of yesteryear, have succeeded in translating the original Super Famicom Wars ROM, making the game fully playable in English for the first time in its history. The modders have noted that that there is some unreachable data in there, so every nook and cranny hasn't been localised, but enough of the text has been translated to make the game playable. 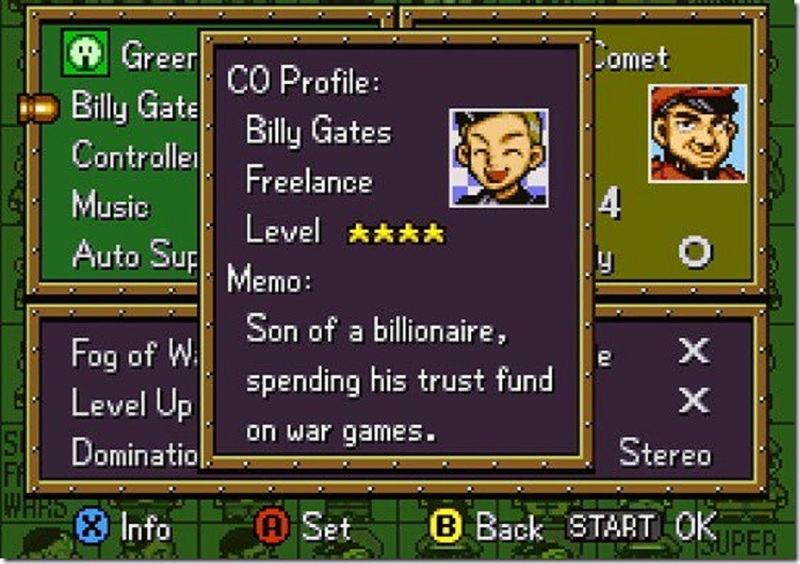 You can check out the translated Super Famicom Wars in the video below, via YouTuber Mangs.